Melbana Energy (ASX:MAY) has signed a non-binding Letter of Intent (LOI) with Anhui Guangda Mining Investment Co Ltd (AGMI). Fully fund the drilling of a minimum of three exploration wells in Block 9 prior to July 2020, with two exploration wells to be drilled by November 2019. These include one on each of Melbana’s three highest ranked and high impact targets (Alameda, Zapato and Piedra). Replenish the current cash backed bank guarantee for US$2.275 million provided by MAY for the benefit of Cupet (Cuba’s State oil company), with an equivalent bank guarantee using its own banking facilities. Fully fund 100% of all exploration, appraisal, development and production activity and costs, providing any additional required bank guarantees for Block 9 while the group remains a participant in the Block 9 PSC (20+ years remaining). At its election, assume managerial control of Block 9. 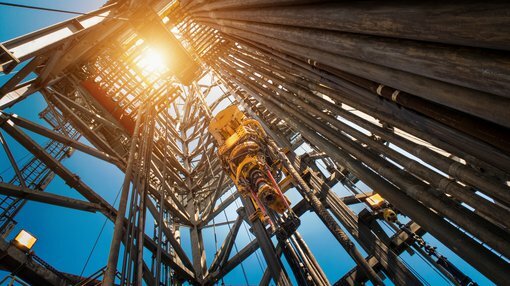 In the event of a successful development, MAY will recover costs of ~US$3.5 million from the verified cost recovery pool, as well as 12.5% of the profit oil. MAY and AGMI wish to complete a binding definitive agreement by December 1 this year, with AGMI considering utilising the April 2019 drilling slot available to MAY. The LOI comes off the back of a recently released prospective resource assessment of Block 9 by the independent McDaniel & Associates Consultants, which have significant experience in certifying reserves in the Cuban region. McDaniel & Associates Consultants, which have performed several assessments for TSX listed Sherritt International, have identified a best estimate Oil in Place of 15.7 billion barrels and Prospective Resources of 718 million barrels of oil equivalent from a further three prospects and 16 leads. The assessment included a best estimate prospective resource of 270 million barrels of oil in the five target objects contained within MAY’s preferred high impact exploration prospects Alameda (3 objectives in well), Zapato and Piedra. MAY does remain a speculative investment and investors should seek professional financial advice if considering this stock for their portfolio. MAY CEO Robert Zammit commented on the LOI, “We are very pleased to have agreed LOI terms for the Block 9 farmout with AGMI where the minimum commitment to fully fund the drilling of our three preferred high impact prospects occurs at no further cost to Melbana shareholders.